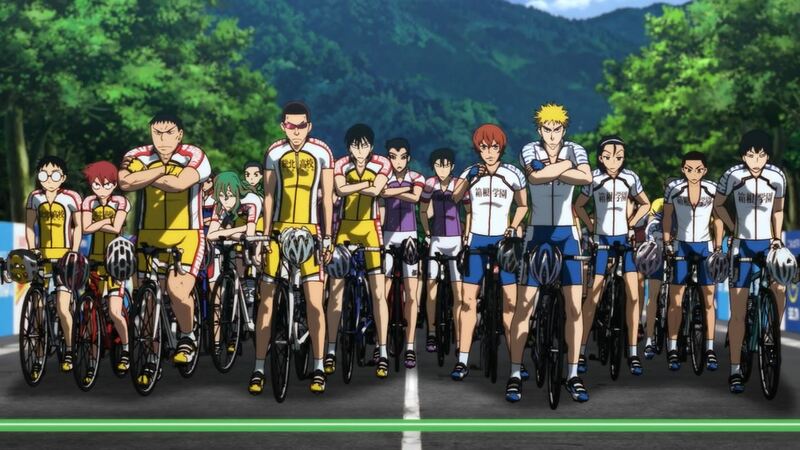 Yowamushi Pedal is an anime about bicycle road race. The idea is very original and interesting and the story is quite inspiring. There are two Anime TV series adapted from the manga, two movies that serves as the summary of the two TV series, and one movie that serves as the sequel of the TV series. I’ve watched the TV series and the sequel movie, but I’ll only talk about the two TV series here. The first TV series is titled Yowamushi Pedal, aired from October 7, 2013 to July 1, 2014 with total episode of 38. And the second TV series is titled Yowamushi Pedal GRANDE ROAD, aired from October 6, 2014 to March 30, 2015 with total episode of 24. The studio behind these two anime is TMS/8PAN. The total number of episode is 72 which makes this anime really long. The longest anime I’ve watched until recently. This anime has much to tell but the pace is very slow. It’s a double-edge sword. Makes things interesting, draw your curiosity, but also boring. Due to the number of characters, this post is quite long and might be boring.